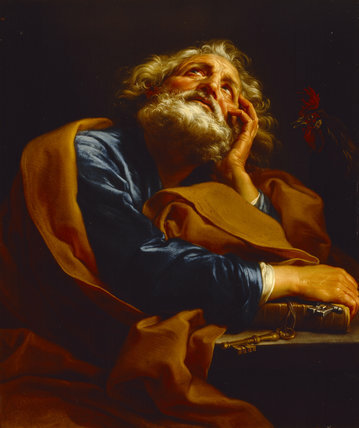 ST PETER by Pompeo Batoni (1708-1787) from Basildon Park. The Italian painter born in Lucca was celebrated for his portraits. Credit Line : Basildon Park, The Iliffe Collection (The National Trust), ©NTPL/John Hammond.